In almost all the World it is assumed that Islamic Sufism is popular and acceptable to common non-fundamentalist Muslims. It very important to say that this is not true. Islamic Sufism is a Turkic ideology developed mainly in central Asia and India. It is being politically used for centuries for Turkic expansion into India, the Middle East and Africa. It has close ties and resemblance with Talmudic Judaism and it is hard to consider it as Islamic. 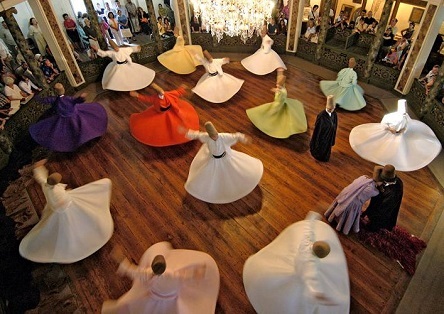 All Sufi orders in Africa and the Middle East received strong support and roles in the Ottoman Empire to subdue and fight colonized nations and these orders became integral part of the colonial rule. While these orders were claiming pure mystical faith they were silent towards Turkic atrocities and infidelity, in the meantime they took leadership in fighting European colonization or interference. It cannot be called a conspiracy theory at all but the article “Sufism and the Kabbalah” posted on David Livingstone’s blog is much closer to the true nature of Islamic Sufism. Please consider researching the Turkic connection between Islamic Sufism and Talmudic Judaism.